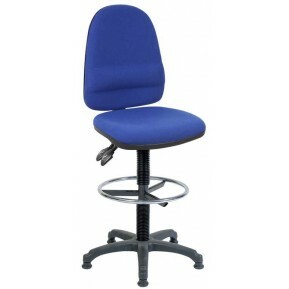 Fabric Office Chairs are suitable for both home office and commercial office use. 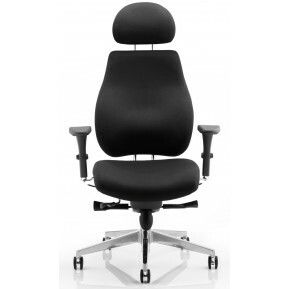 Atlantis Office offer fabric upholstered office chairs as an option in numerous office chair styles. Fabric Office Chairs are available in a wide variety of colour finishes, from standard black and blue fabric office chairs to wine red and pink! Fabric Office Chairs offer an exceptional level of ergonomic support and comfort which inevitably allows this style of office chair to be amongst our most popular. These superb seating solutions are guaranteed to stand the test of time whilst making a bold statement, adding colour to any office environment. Fabric Desk Chairs are ideal for numerous tasks therefore are available in a wide range of constructions including Fabric Posture Office Chairs, Fabric Operator Office Chairs, Fabric Heavy Duty Office Chairs, Fabric Executive Office Chairs amongst others. The Boston has a lavish sized seat and backrest cushioning complete with “sculptured” foam in the ..
High Back Executive Managers Chair Available in Charcoal or Blue Fabric Durable Nylon Base .. 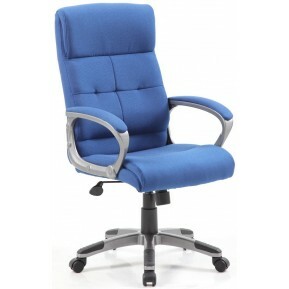 The Dartford Executive Fabric Office Chair is the ideal solution if you are looking for a stunning .. The Jack II is our Fabric Executive Operator Office Chair available in both blue and charcoal ..
Hague Fabric Executive ChairSmart, Stylish and comfortable Well padded seat and backHeight adjustabl.. 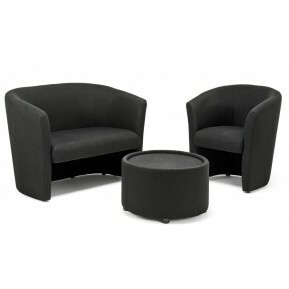 The Milan Fabric is an executive armchair with stitching detail, stylish chrome base and durable nyl.. The Canasta II chair is a stylish high back, fabric executive office chair. It has a lock tilt mech.. 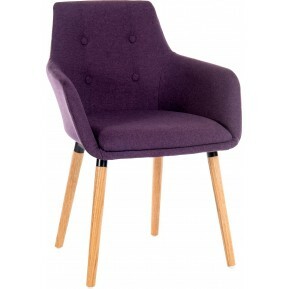 This chair provides value and quality Includes comfort and durability Dimensions: Seat Width: ..